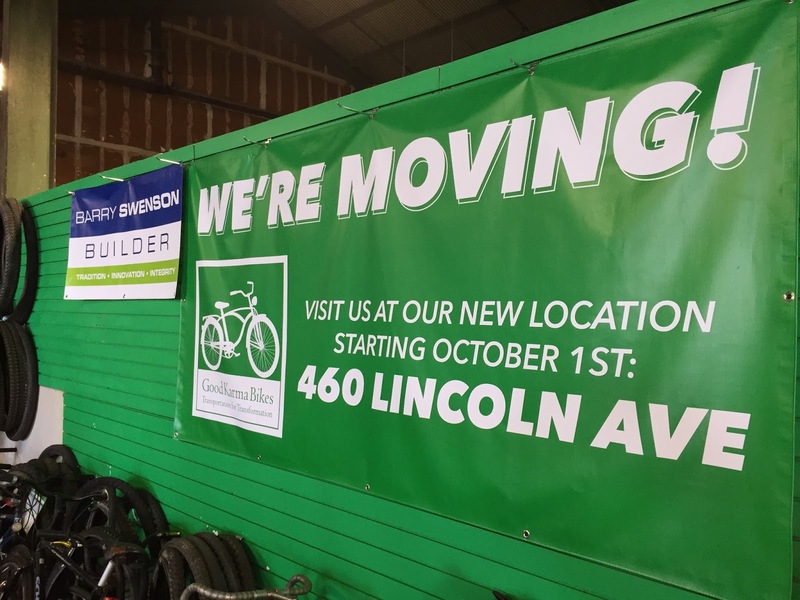 Update: The day after this post was first published Good Karma Bikes' move date changed to Nov. 1. The text has since been updated. Hope you help them out and like them on Facebook! 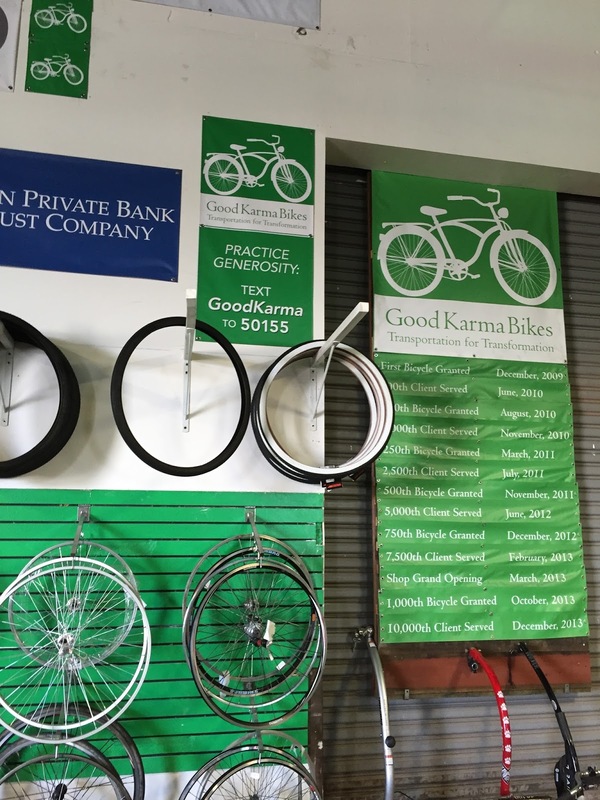 Good Karma Bikes - the non-profit organization in San Jose that helps keep those less fortunate moving with free bike repairs and other great work - is changing locations November 1. The spot their retail store (great used bikes and gear) and shop occupies right now will soon - like so many other places in the Bay Area - be home to new construction. 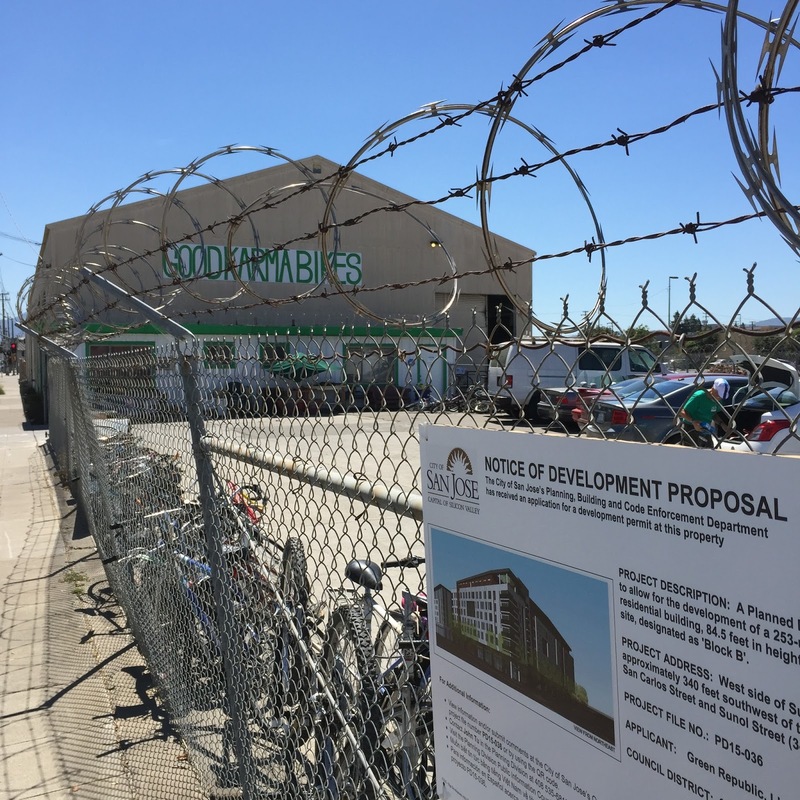 The new site on Lincoln Avenue is going to be smaller than what they have now. After going through my move from Connecticut to California and ending up with a smaller workshop I can appreciate what they’re going through. Don’t donate any bikes to them until after they move - if you have an old bike you want them to have just hang on until after they move. And please don’t donate anything that came from a department store unless it is nearly unused (most of them are cheap for a reason and made of lousy components that just can’t be fixed or even replaced). 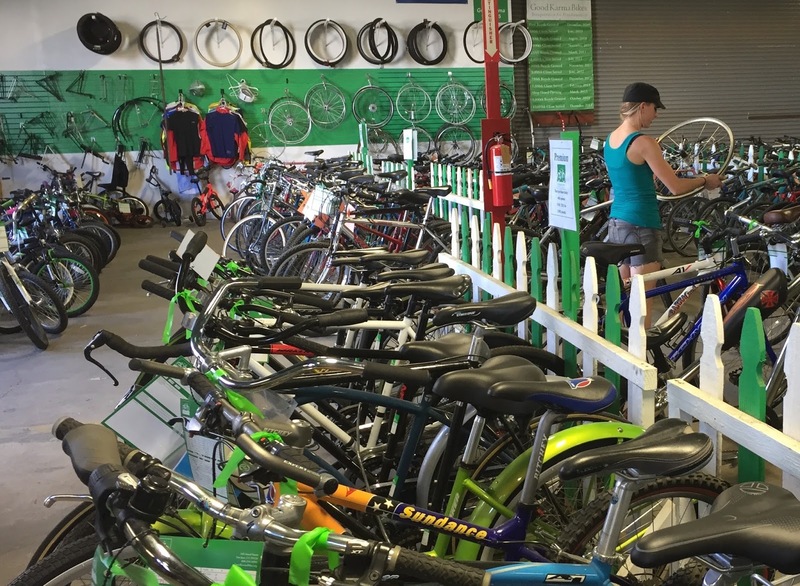 Go to their location (345 Sunol Street) and buy some bikes and some accessories. If you want a beater to lock up at the VTA, BART or Caltrain station (or get dinged up on the trains themselves) want to pick up groceries on something other than your carbon fiber Felt, drop on by during their regular store hours. 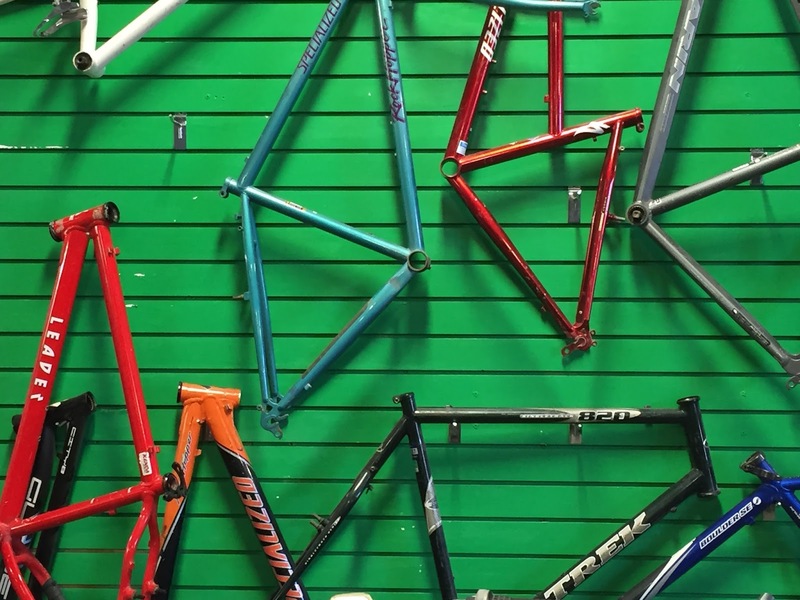 Good Karma Bikes is also selling a lot of great stuff on eBay so check that out too. Volunteer for Good Karma Bikes They're always looking for folks willing to lend their talents for working on bikes or helping to sell them. They also have new, short term volunteer opportunities for Sundays from 11:00am - 3:00pm to help them pack things up for the big move. Like Good Karma Bikes on Facebook They are going to be making announcements in the near future about specific move dates and other important things - and you can bet they are going to need volunteers to help with the actual move. Good Karma Bikes’ retail store is open this week from 2:00pm to 6:00pm and on Saturday from 10:00am to 5:00pm. Their eBay presence is 24/7. Their Facebook page is here. Please help them out and ask your friends to do the same. Remember: we like riding our bikes and we have the freedom to #choosethebike but some people have to ride bikes in order to go from place to place and they don’t have the money to fix them. They're the ones we're helping. Thanks for reading and thanks for riding.